Gibson.com's "Top 10 Rock Drummers of All Time"
"Drummer and lyricist for Rush, Neal [sic] Peart is hailed in many circles as the quintessential rock drummer. He’s known for his ingenious drum parts and intense solos with lead passages that rock hard and prove the drums, indeed, can be a lead instrument. No Rush concert is complete without Peart’s sparking, obligatory drum solo, and his syncopated drumming style certainly has its own distinct sound and aura. You can always tell when it’s Peart playing." - Gibson.com, May 31, 2011 Thanks to B-man for the headsup! While in Sweden two weeks ago, Rush could have enjoyed dinner at 2112, a new restaurant in Gothenburg with an obvious Rush influence. Two members of the Swedish metal band In Flames, Peter Iwers (bass) and Björn Gelotte (guitar), are partners in the new restaurant which opened April 21st. Check out the restaurant's website or Facebook page. Thanks to Jonas Scherman and Frank Ray for the headsup! They’re Canada’s #1 musical export to the world, and so not surprisingly, guitarist Alex Lifeson, bassist/vocalist Geddy Lee and drummer/lyricist Neil Peart, have been so busy touring over the past year, that they haven’t had a chance to finish what they started: recording their 20th studio album; "Clockwork Angels". 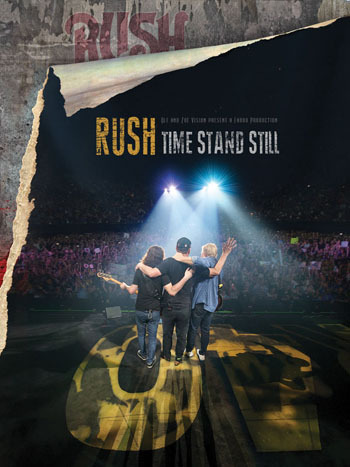 While recording is scheduled to resume fall 2011, in the meantime, RUSH’s stock has never been so valuable, with thanks in part, to the acclaimed film, that tells the story of RUSH Beyond the Lighted Stage. It seems everyone has seen it, everyone that is, except their drummer. How could THAT BE? You will find out how, and much more, from this revealing conversation with Neil Peart, who set aside a half hour, back stage, to talk to me about all things RUSH, including the evolution of his drumming, the nature of his lyrics, his latest boo Far And Away – A Prize Every Time, performing live, and just why RUSH have keep doing what they do. 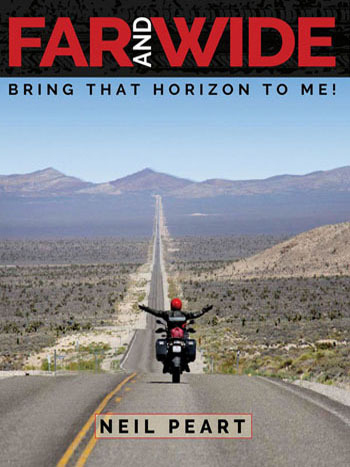 And as Neil Peart is about to tell you, he only tours one way …. Enjoy, Jeff - Thanks to RushFanForever for the headsup! Rush was referenced on the WB television series Supernatural yet again. Seven minutes into the season six finale, "The Man Who Knew Too Much", an amnesiac Sam finds various ID cards identifying him as Jimmy Page, Neil Peart (pronounced "Pert"), and Angus Young. 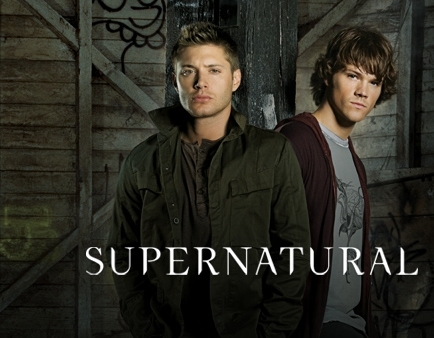 The episode is available on the Supernatural website. - Thanks to Randy Stringer for the headsup! This is the fifth time Rush has been referenced on the show. In previous episodes, "Fly By Night" and "Working Man" were heard, in another episode the Winchester brothers refer to themselves as Agent's Geddy and Lee, and in a fouth episode the brothers went undercover in a mental institution using the names Alex and Geddy. Click here for details. "Good morning to you all down in Houston and across the planet. I just wanted to say thanks for the song. That was by the band Rush and my friends Ken Fisher and Greg Shurtz sent that up for me. And Rush was really inspired by the launch of STS-1 so they included that in their music and it was really inspirational for them and for the whole album. What's really cool about it is that the Space Shuttle program has really inspired everybody across our planet for such a long time. So this song was a tribute to the Space Shuttle program and so we'd like to say good morning." "Countdown" was written by Rush to document the first shuttle launch which took place just over thirty years ago, on April 12, 1981; footage of the launch was used in the song's video. 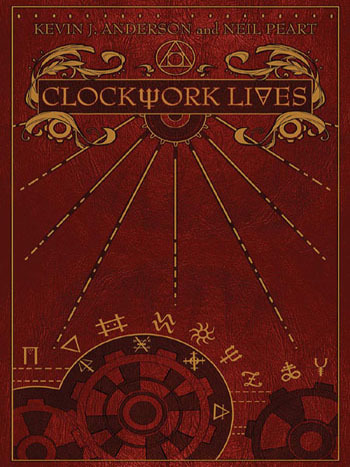 According to Rushonrock.com, Rush could break with tradition and play one of the big British festivals in support of Clockwork Angels during the summer of 2012. Festival choices include High Voltage, Download and Sonisphere, and apparently the band’s management is looking at booking a high profile festival slot for summer 2012. Rush are not known as a festival band but plans are supposedly at an advanced stage to book a series of one-off shows, and organisers of the major events in the UK and Europe are lining up to bag what would be the star attraction of the 2012 festival circuit. - RushOnRock.com, May 24, 2011 Thanks to Ed at RushIsABand for the headsup! Popmatters' "25 Best Progressive Rock Songs of All Time"
Popmatters has posted their list of "The 25 Best Progressive Rock Songs of All Time", featuring songs recorded between 1969 and 1979. 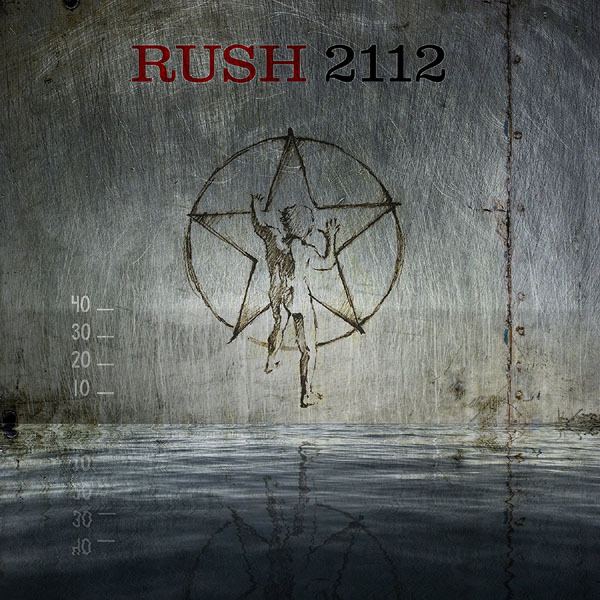 "2112" comes in at #6, "Natural Science" falls at #18 and "Cygnus X-1, Book II: Hemispheres" falls at #22. For the complete list including samples and song bios visit PopMatters.com. - Thanks to John @ Cygnus-X1.net for the headsup! Vintage Guitar's "Top 50 Guitar Songs"
Vintage Guitar magazine is celebrating 25 years of publication, and is asking for reader feedback to select the Top 25 Guitar songs of the 60's, 70's, 80's and 90's. The May 2011 issue includes the Top 50 Guitar Songs of the 70's; on the list is "Working Man" at #48. The current issue (June 2011) includes the Top 50 Guitar Songs of the 80's; included on that list is "Tom Saywer" at #20 and "Limelight" at #27 (both coming in behind Joan Jett...). To vote for the Top 50 Guitar Songs of the 90's, click here. Thanks to RushFanForever for the headsup! Happy Victoria Day Canada! Commemorating Queen Victoria's birthday, Neil wrote about this holiday in "Lakeside Park" where "everyone would gather, on the twenty fourth of May..." (beginning in 1977, the holiday was officially recognized as the Monday on or before May 24th). If you're outside Canada and would like to celebrate on May 24th, drop by Lakeside Park Day, a Rush fansite which includes tips for a successful Lakeside Park Day! 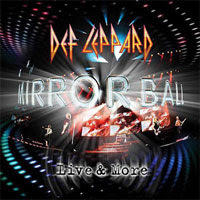 Def Leppard's Joe Elliot On "All The World's A Stage"
Def Leppard's first ever live album, Mirrorball, is set for release on June 7. Last week while promoting the album on Bob Coburn's Rockline, singer Joe Elliot included Rush's All The World's A Stage when discussing "career making live albums". The first topic of discussion, Elliot states "Notoriously the live album had much better versions than the studio record," and cites live albums by Peter Frampton, Thin Lizzy, UFO, KISS, Rush and Cheap Trick as examples. "For people in our generation, they absolutely were career breakers...Rush broke England on All The World's A Stage, and for us growing up as kids in England, these albums started people's careers off, then you'd go back and get the studio albums, and you'd listen to them and go 'oh dear, they're not as good as the live albums'". To be fair, however, he does conclude with "I think it's what you hear first is what you get used to." You can listen to the interview here. Alex Lifeson and Geddy Lee are featured in the most recent issue of Premier Guitar in a two page spread of the "Opening Notes" section, which you can find here. The story includes a brief writeup of the Auburn Hills show earlier last month. - Thanks to Seth Hansen for the headsup! CHART UPDATE: Moving Pictures is currently #181 on the Billboard Top 200; with a showing of 75 weeks on the chart! Newly remixed in 5.1 surround sound, the Moving Pictures - Deluxe Edition is now available. Available as either a two disk CD/DVD or CD/Blu-Ray edition, the package includes an extensive gallery including previously unreleased photos from the original recording sessions, new liner notes by renowned music journalist David Fricke and 30th anniversary artwork by original album designer Hugh Syme. Check out the all new trailer for the Moving Pictures Deluxe Edition here. Included in the reissue package is an extensive gallery with previously unreleased photos from the original recording sessions as well as new new liner notes by renowned music journalist David Fricke. 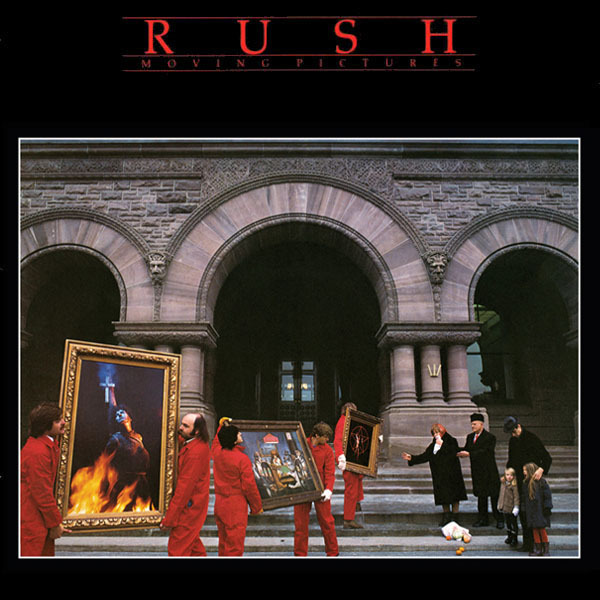 The liner notes essay is now available on the Moving Pictures liner notes page, and 27 new images have been added to the Rush Album Art Gallery. - I would like to thank John at Cygnus-X1.net for proving the transcript and images! The Geneva Centre for Autism, which has been helping autistic children and their families since 1974, held their annual gala and art auction, The Autists, on May 17th at Koerner Hall, Telus Centre for Performance and Learning in Toronto. 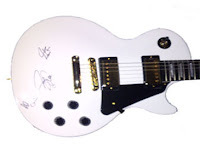 Prior to the event, the center held an online silent auction which included a 2011 Les Paul Studio guitar donated by Gibson, signed by Geddy Lee, Alex Lifeson and Neil Peart at the Hamilton show last month. Although not yet reflected on the website, the winning bid was $3,050. For more information click here for Geneva's website (autism.net). - Thanks to John Carere for the headsup! 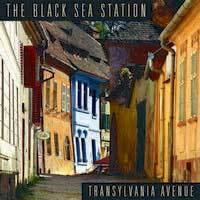 Geddy Lee on Black Sea Station's "Transylvania Avenue"
Geddy is a guest on the album Transylvania Avenue released last March 29th by Klemzer band Black Sea Station. Geddy plays bass on "When I Close My Eyes" and provides vocals on "March of the Shikker". The album is produced by Ben Mink (Geddy previously appeared on the Mink-produced Klemzer album Ship To Shore by Finjan released in 1988). Click here to order. Rush is the featured artist on the current issue of Classic Rock Presents Prog which is now on newsstands the UK. The cover illustration offers the band as musicial scientists along with various album cover elements, and the magazine includes a series of stories on the band. You can purchase Prog online at this link. 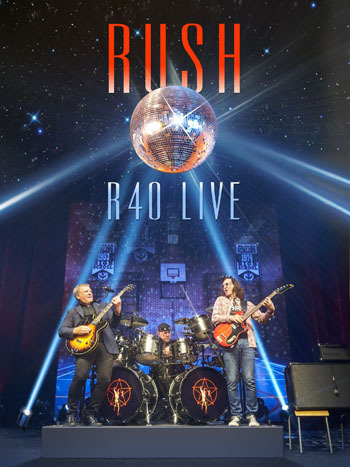 The complete Rush content has also been transcribed and is now online courtesy of Cygnus-X1.net - Thanks John for the headsup! "Stewart Lee is one of the funniest men alive. This is not up for debate, this is fact. One man who acknowledges as such is his namesake and Rush bassist, Geddy Lee. Don’t take our word for it, listen to him: 'My wife and I come to London a lot and we go to a couple of the comedy places, and one time we saw Stewart Lee. He’s fantastic. So funny. You have to spend a lot of time immersed in British culture to understand all of his jokes. For instance, I’d never seen this British show Top Gear and then I went to see one of Stewart Lee’s performances and he was absolutely destroying these people. I was laughing but I didn’t know what I was laughing about! Then my wife and I returned quickly to Canada and watched Top Gear on BBC World or whatever, and then it all made sense! If he could expand his razor wit onto a global level I think he could be incredibly popular, but I get the feeling he’s happy to keep making you Brits laugh. He did a great bit about the Cafe Nero places in London and I can’t walk past one of those without laughing now. Everyone should know that Stewart Lee is truly brilliant.'" - MetalHammer.com, May 13, 2011 - Thanks to John @ Cygnus-X1.net for the headsup! 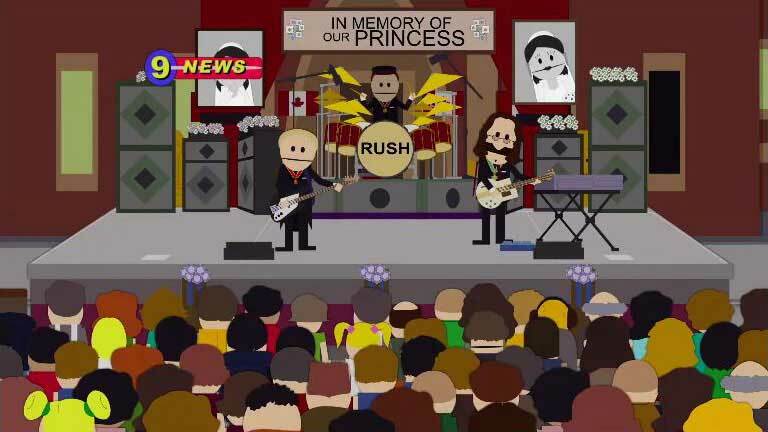 Gibson.com's "Three's Company: The Top Top Rock Trios"
Rush was finally featured during an episode of Southpark! During Wednesday's episode, "Royal Pudding" (season 15, episode 3), after the Princess of Canada is abducted during the Royal Canadian wedding, the citizens of Canada become extremely depressed and suicidal. A massive candlelight vigil is held led by Rush. The band is shown on stage performing Elton John's "Candle In The Wind" (sung as "flower breaking wind") until the song is abruptly ended with Alex's suicide! You can see the episode here. - Thanks to Frank Ray for the headsup! 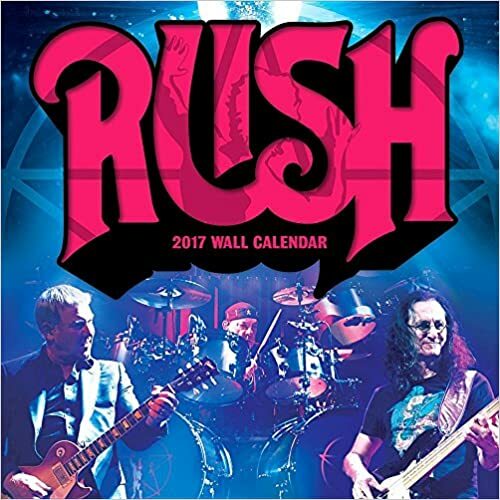 Rush has a new contest where you can win the ENTIRE Rush CD catalog, including the new Moving Pictures Deluxe Edition, as well as an autographed Moving Pictures lithograph and a tour program from the original 1981 tour. Click here for details. 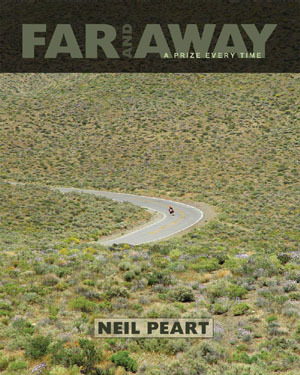 Cakewalk has announced the availability of Neil Peart Drums Vol 1 for Session Drummer 3. Neil Peart Drums Vol 1 for Session Drummer 3 by Sonic Reality features samples of the authentic Drum Workshop® Signature "Snakes and Arrows" kit of drum legend Neil Peart from the band Rush. Recorded by producer Nick Raskulinecz (Rush, Foo Fighters, Alice In Chains) this powerful stereo kit offers the ultimate high fidelity rock sound with incredible realism. Coming from the acclaimed Drum Masters 2 and Studio ProFile series, Sonic Reality has crafted this legendary kit in Session Drummer 3 format so SONAR 8.5 and SONAR X1 users can enjoy one of the finest sampled kits in the world. Click here for more information. "YYZ", one of Spin Magazine's "30 Greatest Instrumental Songs Ever"
Rush, "YYZ" (1981): "With Moving Pictures, Geddy Lee and Co. proved they were mightily virtuosic, historically nerdy (rendering the letters "Y-Y-Z" in Morse Code via various musical arrangements), and capable of damn catchy melodies. Then, of course, there's the drum solo." - Spin.com, May 6, 2011 Thanks to John @ Cygnus-X1.net for the headsup! Alex Lifeson Names Pete Townshend The "Greatest Songwriter In Rock"
"The Who were always a major influence on everything that Rush ever did, from the very start. While I'd never question the Beatles' right to be regarded as the greatest songwriters in history, nonetheless what Townshend did with the Who made more of a mark on us. What he's generated is an amazing body of work, with songs so diverse yet also connected by the fact that we're dealing with a man who wasn't ever afraid to give us a glimpse into his world, his thought process, (and) the way he dealt with his problems...(He) made me aware that it was OK to for a great musician to prove he wasn't infallible. That's great quality we've never forgotten in Rush...It's so hard to choose just one song to represent what he's all about. The choice would come down to 'Pictures Of Lily,' 'I Can't Explain,' or 'Run, Run, Run.' They're all so different, yet also have that unmistakable strand of Townshend running through them." - Alex Lifeson, Classic Rock, May 2011 - Thanks to RushFanForever for the headsup! Dave Clark & The Woodshed Orchestra's "Geddy Lee"
Former Rheostatics' member Dave Clark and his current band The Woodshed Orchestra have just released their new eponymous album; included on the album is the track "Geddy Lee", an epic song praising him as a Canadian National Treasure (who plays bass in the greatest rock band ever!). You can buy or download the cd here or check out the video here. - Thanks to Dave Clark for the headsup! 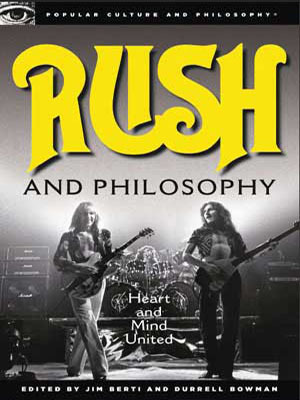 Rush And Philosophy, by long time Rush and philosophy author Durrell Bowman and co-editor Jim Berti is now shipping. 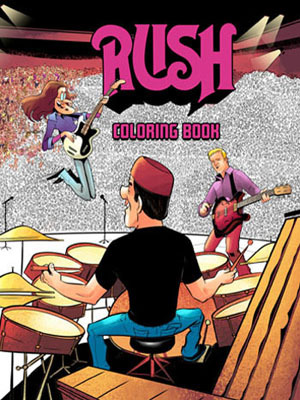 The 288 page paperback book is an anthology of articles and synopses on the topic of Rush and Philosophy. The book's introduction, "Listen to My Music, and Hear What It Can Do" by Jim Berti and Durrell Bowman, as well as a complete listing of the book's contents is now available on Bowman's website. - Thanks to Mark Stench, RushIsABand and John at Cygnus-X1.net for the headsup! 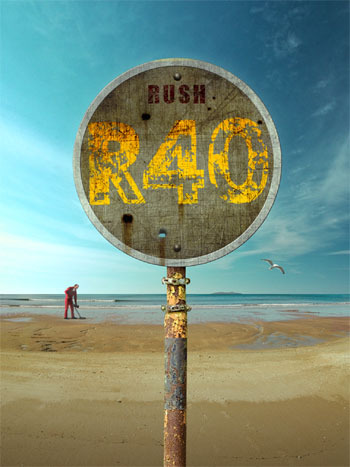 "Rush and Philosophy is a fascinating look at the music and lyrics of the band, setting out to address thought-provoking questions. For example, elements of philosophical thinking from the likes of Jean Paul-Sartre, Ayn Rand, and Plato can be found in Peart’s lyrics; does this make Peart a disciple of philosophy? In what ways has technology influenced the band through the decades? Can there be too much technology for a power-trio? Can listening to Rush’s music and lyrics lead listeners to think more clearly, responsibly, and happily? Is the band’s music a 'pleasant distraction' from the singing of Geddy Lee? In what ways is Rush Canadian? How can a band that has been referred to as 'right-wing' also criticize big government, religion, and imperialism? "Rush and Philosophy is written by an assortment of philosophers and scholars with eclectic and diverse backgrounds who love Rush’s music and who 'get' the meaning and importance of it. They discuss Rush with the enthusiasm of fans and the seriousness of college professors. 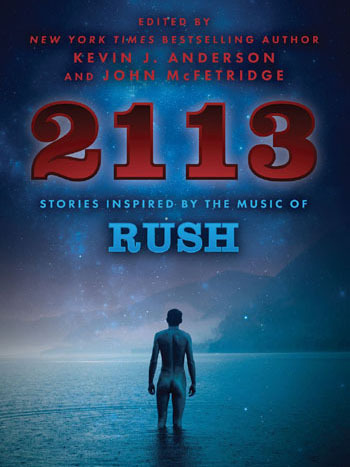 The book will be a must-read for the many fans who have long known that Rush deserves as much respect as the ideas, concepts, and puzzles about human existence they write and compose music about." 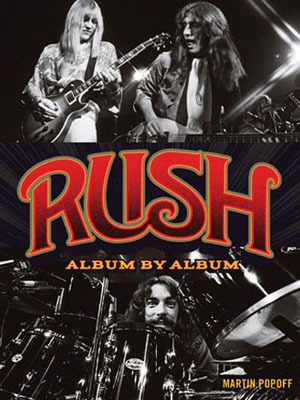 Bowman and Berti first announced they were putting together an anthology of articles and synopses on the topic of Rush And Philosophy back in June 2009.